When you are looking for a text in Spanish, you have to take into consideration the specific location of your target audience. But, if you find someone from a different country, whose work is great, you can take the decision to hire them, because in written Spanish, the truth is that all accents are 100% understable to all natives, not matter the origin of both writer and reader. However, when you are thinking about to take Spanish classes, it could be idfferent. Depending on where you grew up and the individuals you were surrounded by as a young child, your accent will develop to fit the dialect of those around you. While each individual has a slightly different accent, there are certain language features used to categorize larger linguistic trends. These are usually regional. For instance, a child who grows up in England will likely have a different English accent when compared to a child who grows up in the United States. In most cases, people who speak different dialects of the same language are able to understand each other, though there may be confusion where there are differences in word choice. Differences in dialect can become more challenging for individuals learning a second language. Depending on your interest and the location in which you are learning Spanish, you may notice differences between the Spanish you hear around you and the Spanish you have seen in certain movies or heard on the radio. It is important to be aware of the differences among the varieties of Spanish to ensure you are communicating in a way that is easy for others around you to understand. 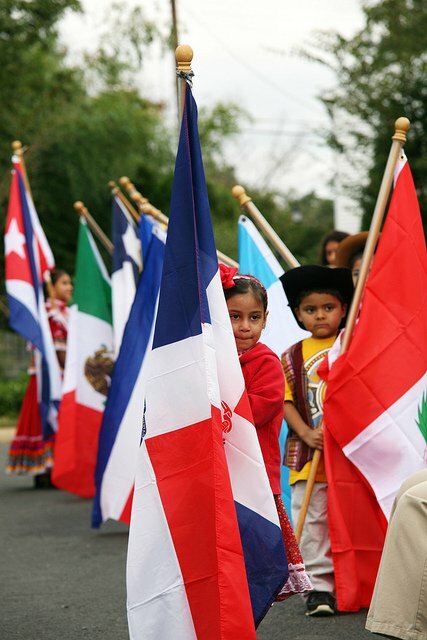 One of the major divides in Spanish dialects is Latin American Spanish and Spaniard Spanish. Both are mutually comprehensible to native speakers, but it may be difficult for a non-native speaker to understand a Spanish dialect he or she is unfamiliar with. This can be particularly challenging when there are differences in pronunciation. For example, some dialects of Spanish will drop the ‘s’ in words like ‘está,’ while others overtly pronounce it. Additionally, there are differences in word choices, such as the use of ‘vosotros’ verb forms in Spain and the use of ‘nosotros’ verb forms in Latin America, which could be confusing to the Spanish language learner. Similarly to the varieties of English within the United States, there are also varieties of Spanish within continental and regional divides. In Argentina, the ‘j’ is often pronounced like the ‘ch’ sound in English. This phenomenon is not found in most other Latin American Spanish dialects. Therefore, it is important to choose the regional dialect you are interested in acquiring as you begin your journey of learning Spanish. Once you become more proficient in the language, it will be easier for you to understand the dialects of different varieties of Spanish, similarly to how you can understand different accents in English.